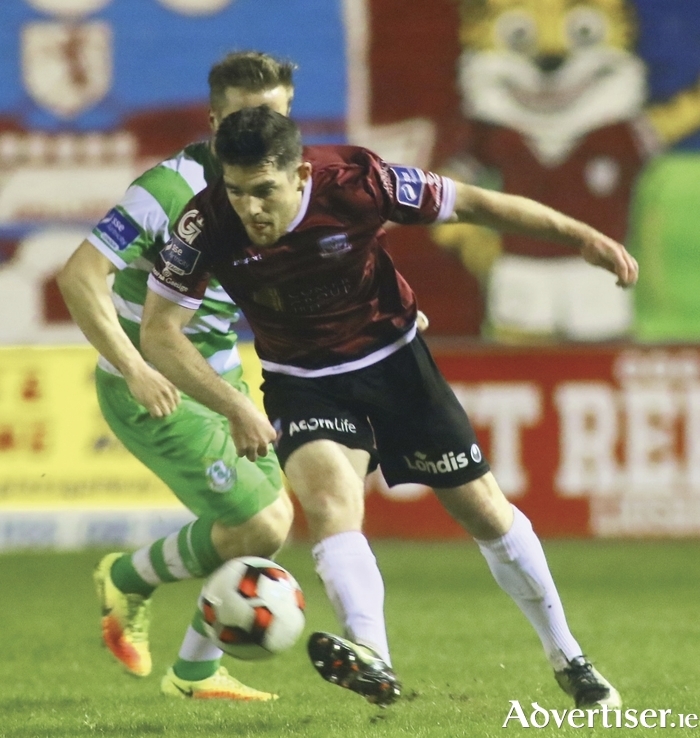 Despite only registering one point from four SSE Airtricity League premier division games, Galway United manager Shane Keegan is adamant the Tribesmen can stitch a decent sequence of results together], starting with Friday’s trip to Dalymount Park for a clash with Bohemians (7.45pm ). Beaten on Monday by a hugely controversial second-half goal by Shamrock Rovers at Eamonn Deacy Park, United will hope to respond at the Phibsborough venue. Gary Shaw guided Rovers ahead with an early goal before a Ronan Murray leveller, but Keegan’s charges were unable to secure a draw after Shaw pounced again in the closing stages to earn three points for the Hoops. “I'm the manager, maybe I'm wearing rose tinted glasses, but I thought we were good for long, long periods of the game,” Keegan said. “I really did, I'm getting a little bit sick of moral victories at the moment. “In three games we should have taken something out of. We were atrocious against Cork, we shouldn't have taken anything from that. In the other three games we should have taken something from them. I'd argue two wins and a draw, but unfortunately we are sitting there with one point instead of seven. United divided the spoils with Finn Harps at Ballybofey last Friday, but Keegan is encouraged by how his team is playing. “With four games gone and a point on the board, it would be very easy to feel like and see a situation that we have huge problems, that is not what I have seen,” he says. “Look at the League table, we have problems; look at our performances, it is a different story. Keith Long’s Bohemians have beaten Bray Wanderers and Limerick, so it will be a demanding fixture for United in the capital. “When you only have a point on the board, they are certainly all going to be massive games,” Keegan says. “Bohs, I suppose, is one where you'd fancy yourself to take something out of, but that does apply to the next four or five. Derry are the only ones that are flying. We have beaten Limerick and Sligo in pre-season, we know we are capable of beating teams like that. Following the Bohs' encounter, United host Mayo League in the EA Sports Cup at Eamonn Deacy Park on Tuesday, March 21, 7.45pm. •Galway Soccer Co-op isrunning a bus to Friday's premier division match at Dalymount Park, leaving The Dail Bar, Middle Street, at 3pm. To book seats contacti Stephen Dowling (086 ) 2361040 or Ronan Coleman (087 ) 6972823.